Newburn Riverside is a large riverside business park near Newcastle upon Tyne, reclaimed in the 1990s from former heavy industrial land. 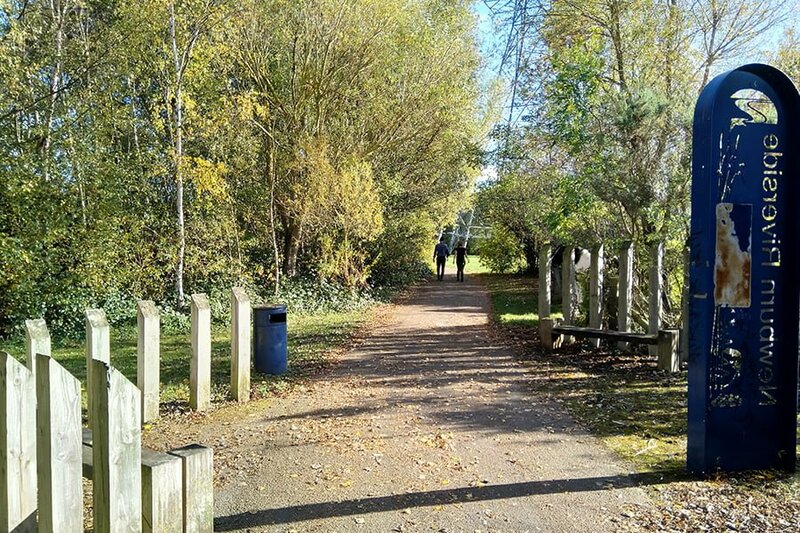 The business park includes a multi-user perimeter path linking to numerous surrounding employment, residential and countryside leisure sites. In conjunction with new woodland planting, the pathway provided new seating areas and public art. However twenty years later much of the path infrastructure is now failing and faded, with woodland planting also in need of management before it becomes a liability or a restriction to development. The current NewcastleGateshead One Core Strategy identifies several undeveloped parts of Newburn Riverside for residential use, which Homes England is actively promoting. The current draft masterplan indicates the retention of the perimeter leisure route as well as numerous green links into and across the developable land. Homes England asked TEP to produce a Woodland and Landscape Management Plan with a view to re-invigorating the pathway, associated woodlands and hard landscape infrastructure. The plan will include proposals for landscape and woodland improvements, outline costs and ongoing maintenance plans, all taking into account the planned phasing of the current draft development masterplan. A Landscape Masterplan together with the Woodland and Landscape Management plan are due to be completed in February 2019.